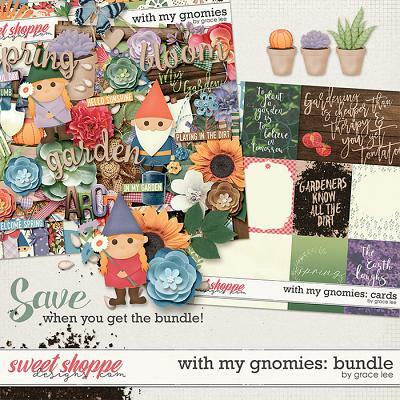 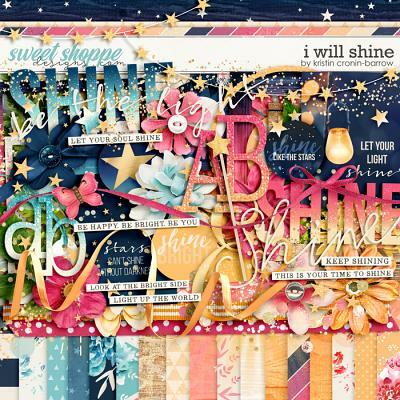 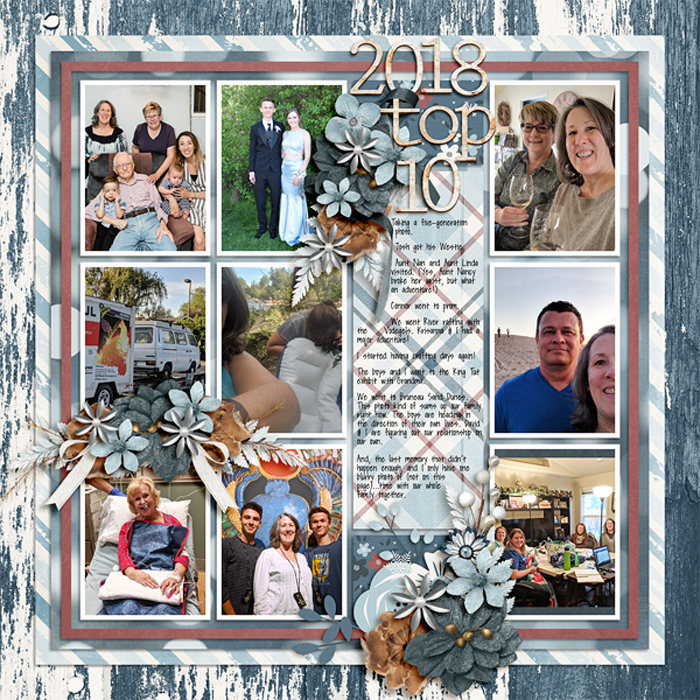 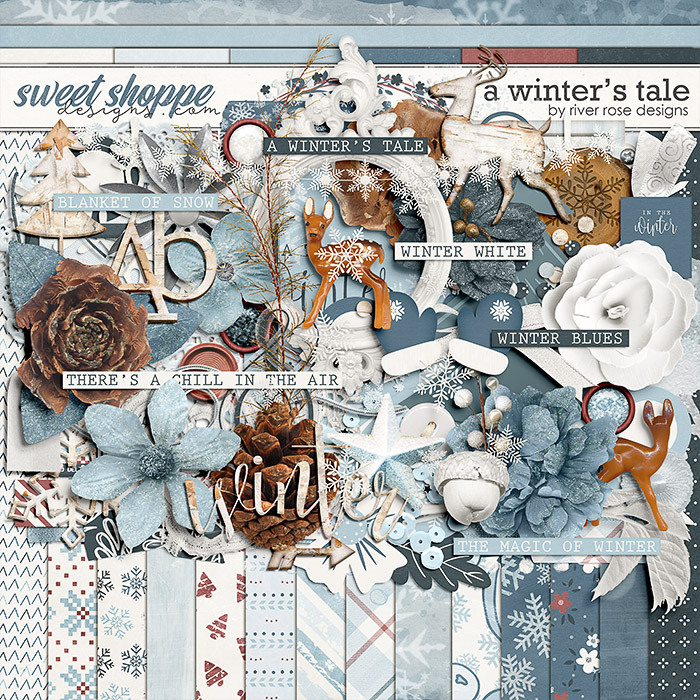 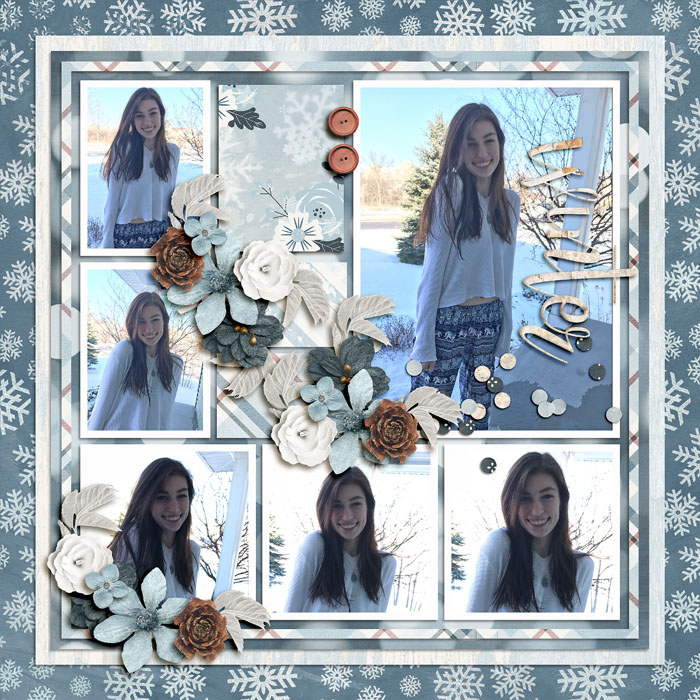 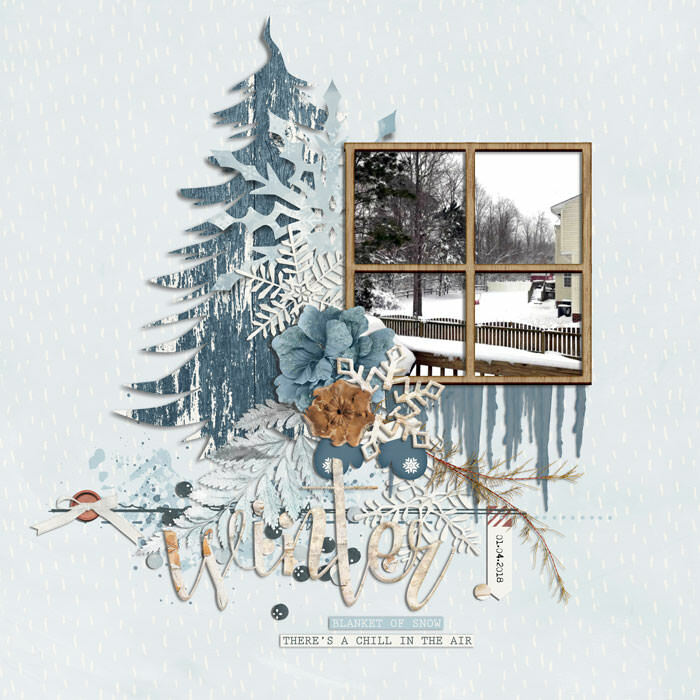 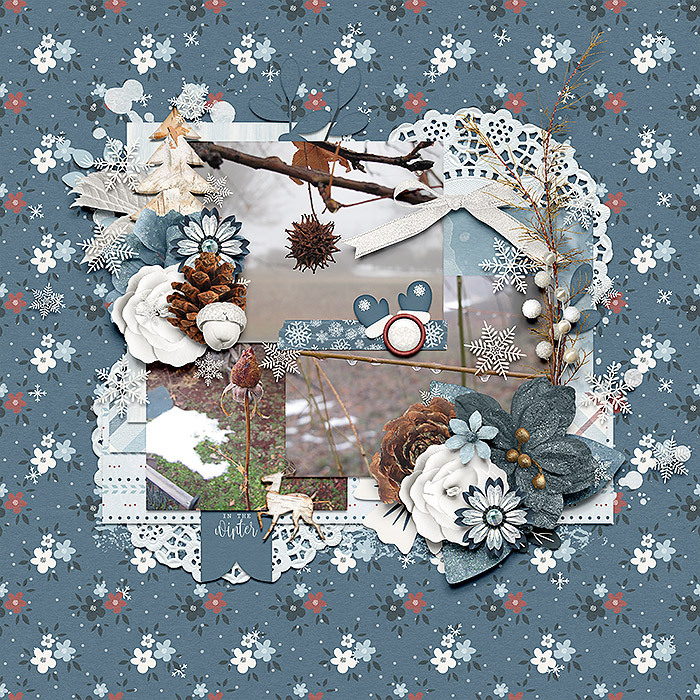 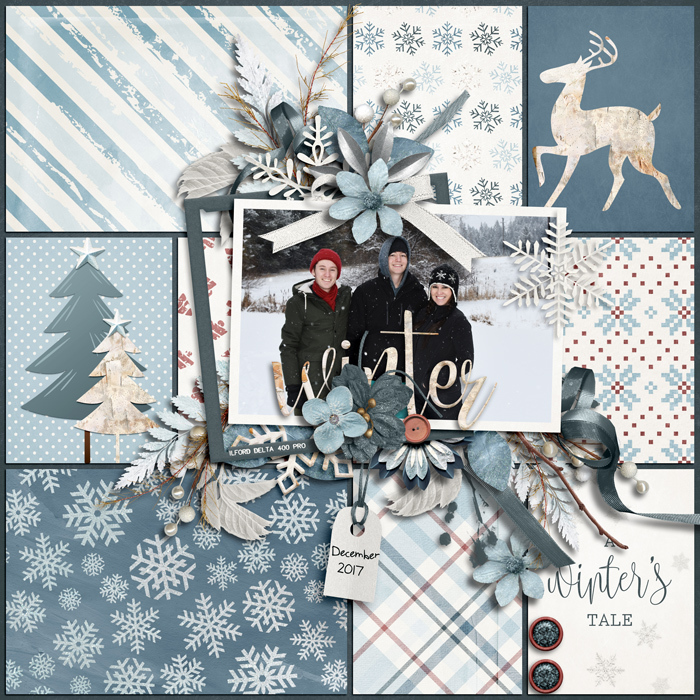 A digital scrapbook kit by River Rose Designs, A Winter's Tale is perfect for telling the story of your Winter. 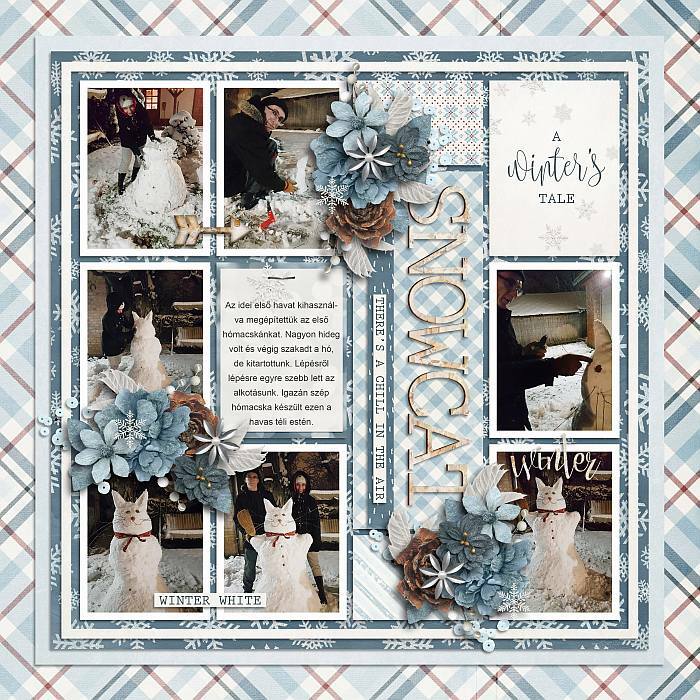 As the days grow shorter, the temperatures drop and Winter settles in, your days may consist of more time indoors fireside surrounded by family and friends or snuggled up under a warm blanket with a cup of tea in one hand and a good book in the other. 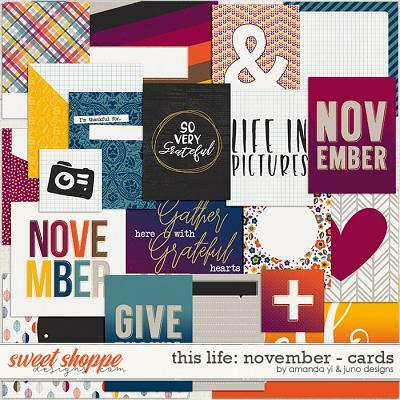 Maybe you'll spend your days scrapping your Summer memories or even creating new Winter memories. 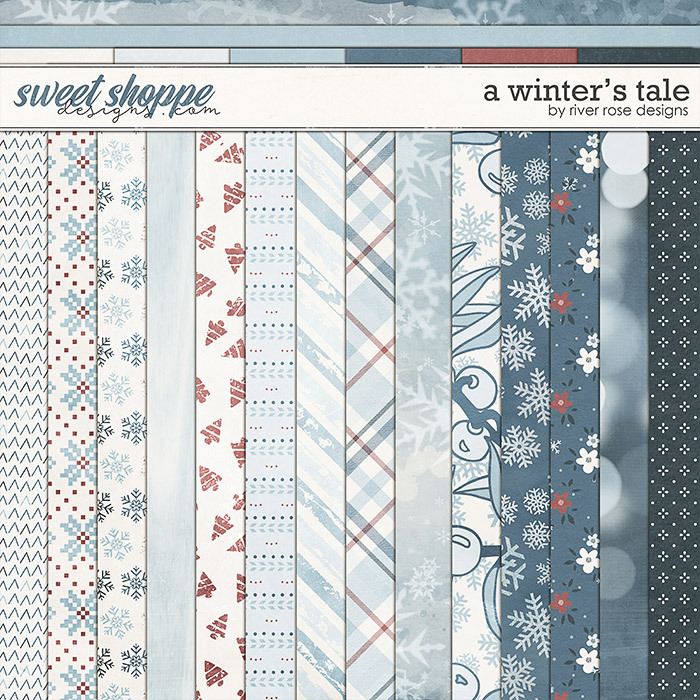 However you choose to spend your days, A Winter's Tale has plenty of beautiful elements & papers to keep you busy during these cold months. 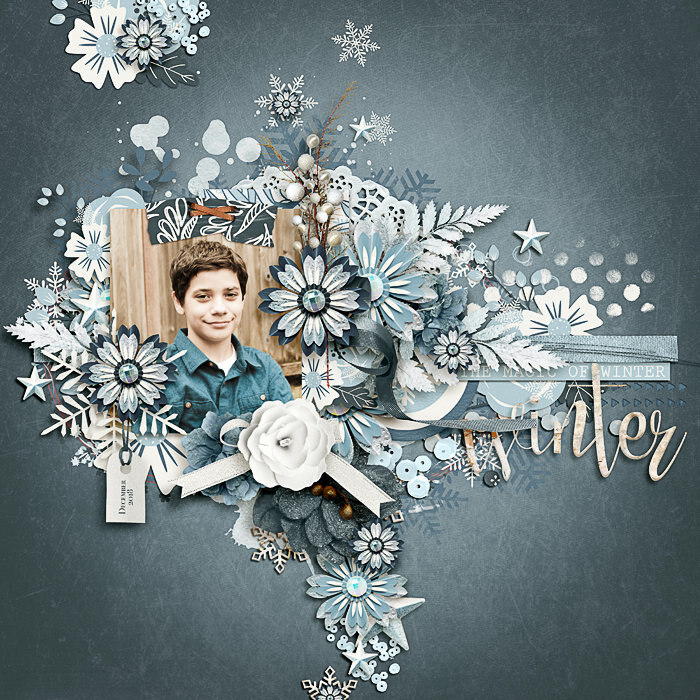 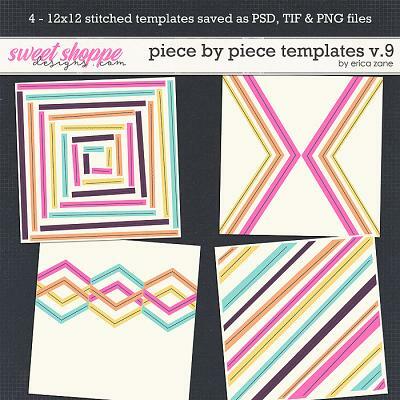 20 background papers (14 patterns and 8 solids), 72 elements including acorn, arrow, berries, buttons, deer, doily, lace, mittens, paint, pine cone, ribbons, scatters, snowflakes, star, washi, trees, word art, and wood slices, plus a rustic wood alpha in uppercase and lowercase letters and numbers 0 - 9 with some special characters presented in individual .PNG file format.